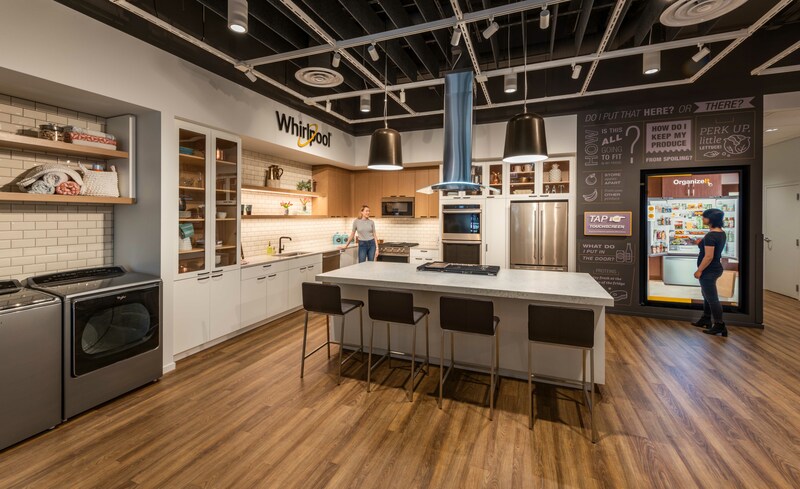 WHA designed Whirlpool Corporation’s Chicago space, better known as World of Whirlpool. 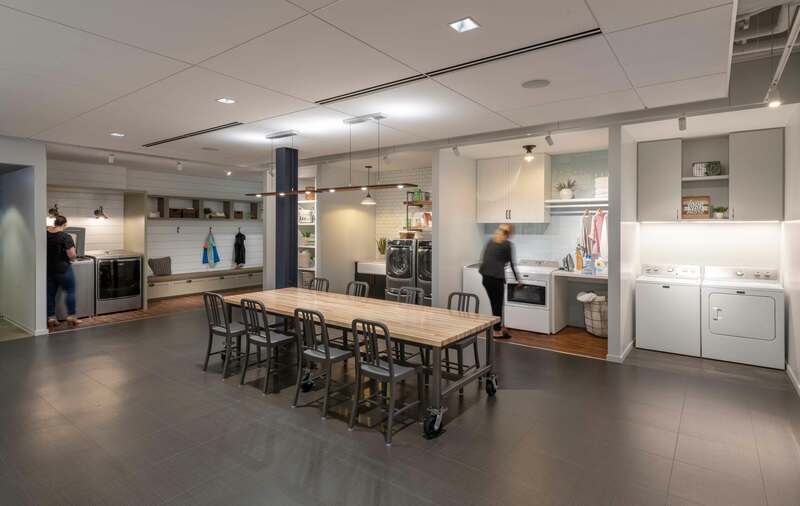 This multifaceted project included showrooms, training space, corporate interiors, kitchen and laundry vignettes, and flexible work areas. 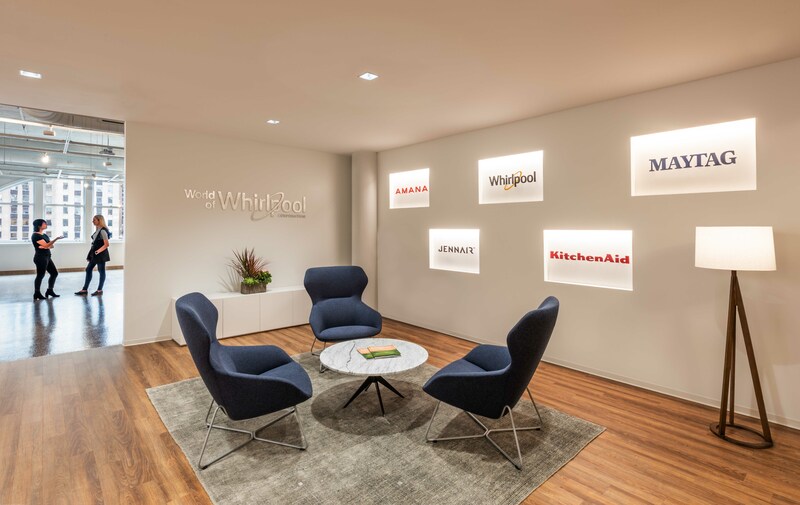 WHA designed the space to incorporate several brands while respecting Whirlpool Corporation’s overall standards by translating them into cohesive and functional finishes, millwork, lighting and spatial experiences. 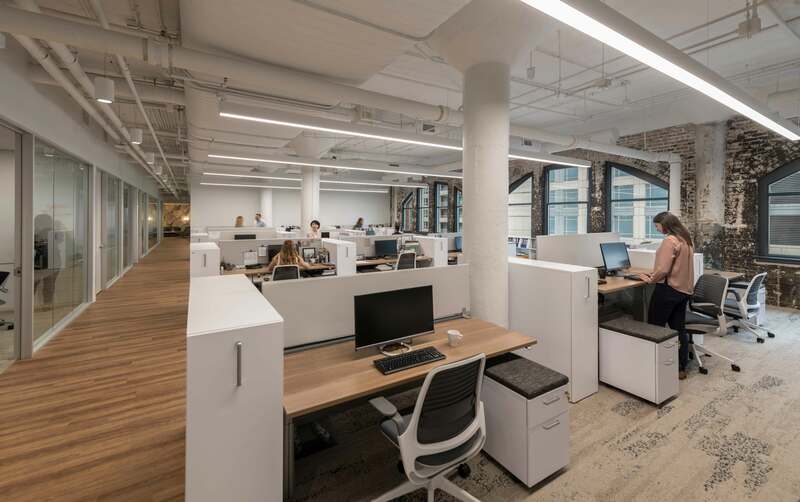 The upper floors are primarily used for private B2B showroom space where clients can visit and learn about the brands. 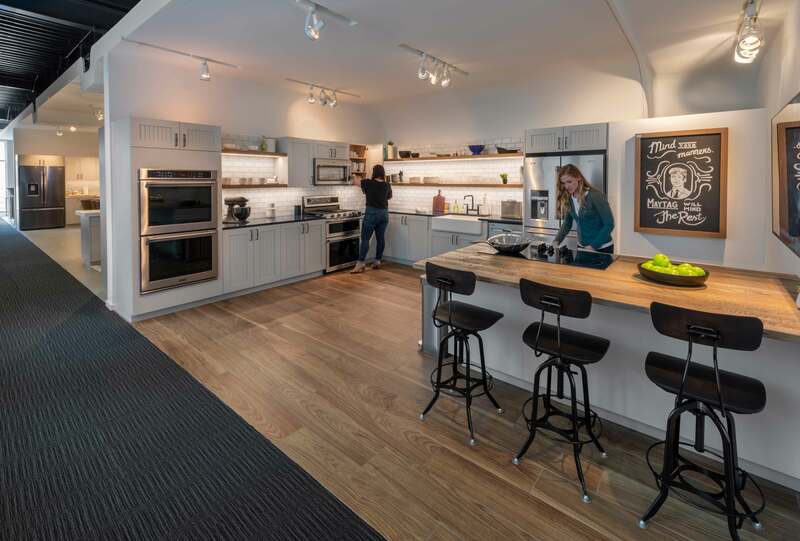 Most kitchens were designed to function “live,” where clients can interact with products and appliances through hands-on experiences. 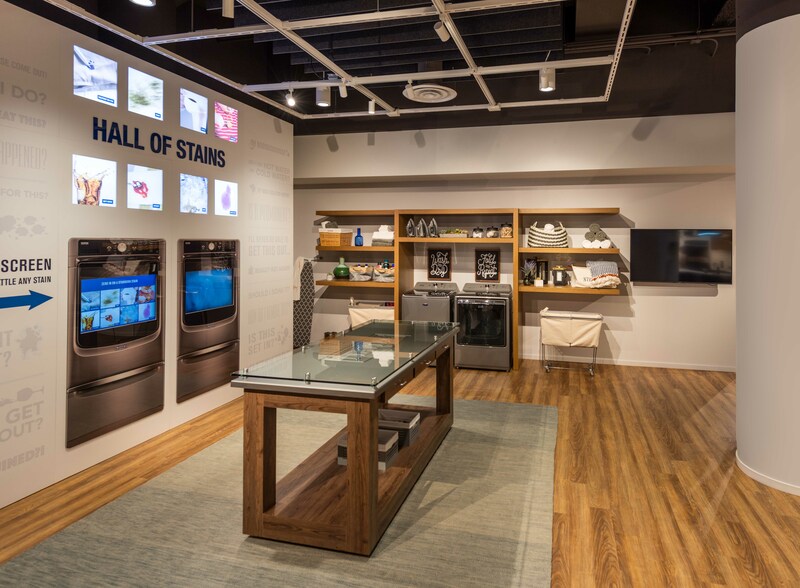 The Customer Experience Center at World of Whirlpool targets everyday end-users and was designed to be a public-facing space to bring awareness to the consumer market. 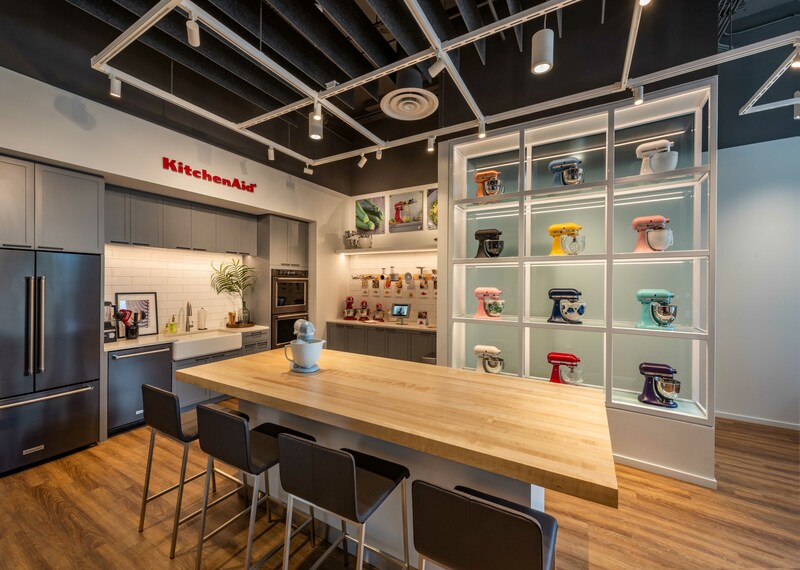 Located on the first floor, visitors can enter at street level and explore products and appliances hands-on, take cooking classes with chefs on rotation, or take laundry classes using Whirlpool Corporation products.